The BJP pulled out of the coalition with the People’s Democratic Party (PDP) in Jammu and Kashmir and demanded Governors rule in the state. It is the second largest party in the Legislative Assembly with 25 members. J&K Governor N.N. Vohra forwarded his report to the President of India for imposition of Governors rule under Section 92 of the Constitution of Jammu and Kashmir. This will be the fourth time J&K will be placed under Central rule during Mr. Vohras tenure as the Governor. Kashmir is likely to witness a new wave of violence as target-specific military operations will go up in the coming days with the State coming under Governors rule, said officials within the security establishment. It is a political decision, and the Army will not have any direct impact. But the police will now be more open in giving intelligence inputs as they normally come under the State government, a Defence source said. Indian Coast Guard (ICG) has commissioned fast patrol vessel (FPV)-fifth and last of the FPV series- ICGS Rani Rashmoni, in Visakhapatnam, Andhra Pradesh. The ship will be based at Visakhapatnam under the administrative and operational control of Commander, No.6 Coast Guard District Headquarters (Andhra Pradesh). Hindustan Ship Yard Ltd has designed and built ICGS Rani Rashmoni. Ministry of Electronics & Information Technology (MeitY) is planning to expand its India BPO Promotion Scheme (IBPS), launched in 2014, from current 48,000 seats to 1 lakh seats. Fifth and Indias largest National Data Centre (NDC) will also be set up in Bhopal, Madhya Pradesh with capacity of 5 lakh virtual servers. NDCs host government websites, services and apps, are currently operational at four locations-Pune, Hyderabad, Delhi and Bhubaneswar. These initiatives will help to create new job opportunities and also ensure that people in smaller towns find employment closer home. The IBPS was approved under Digital India Programme to incentivize BPO/IT- ITES operations sector in the country. To check outflow of funds and prevent misuse of facility the Reserve Bank of India (RBI) has narrowed the definition of relatives under the maintenance of close relative category of Liberalised Remittance Scheme (LRS). The definition of relatives under LRS has been now aligned with definition of relative with definition given in Companies Act, 2013 instead of Companies Act, 1956. Hence, funds under this category can be sent only to immediate relatives such as parents, spouses, children and their spouses. The scheme was introduced in February 2004 and its regulations are provided under Foreign Exchange Management Act (FEMA), 1999. The Union Minister of Human Resource Development, Prakash Javadekar launched the National Digital Library of India (NDLI) on June 19, 2018. The main objective of the library is to integrate several national and international digital libraries in one single web-portal. Over 35 lakh e-books in more than 200 languages are available in the digital library at present. The library can be accessed at ndp.iitkgp.ac.in and the User registration is open to users from around the world. Anukreethy Vas, a 19-year-old college student from Tamil Nadu, has been crowned fbb Colors Femina Miss India 2018 in an extravagant ceremony held in Mumbai, hosted by filmmaker Karan Johar and actor Ayushmann Khurrana. 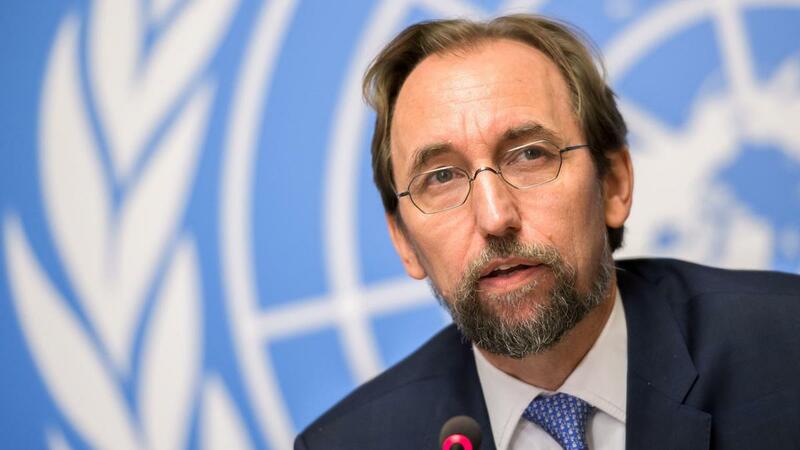 UN High Commissioner for Human Rights Zeid Ra’ad Al Hussein has called for setting up an inquiry commission for a comprehensive investigation of the human rights situation in Kashmir. Zeid, who opened the 38th session of the UN Human Rights Council with a global update on human rights concerns, said he had sought to engage with India and Pakistan over the past two years regarding the situation in Kashmir on both sides of the Line of Control. The UNHRC consists of 47 member states elected by the UN General Assembly for staggered three-year terms. India is not a member this year, though Pakistan is. India and Australia have agreed to strengthen counter-terrorism cooperation through measures such as regular exchange of information and sharing of best practices on countering violent extremism, the ministry of external affairs (MEA) said. Officials of the two countries held the 10th Meeting of the Joint Working Group on Counter-Terrorism in New Delhi, during which they assessed and exchanged views on prevailing terrorist threats, including cross-border terrorism in Af-Pak region, the MEA said. 1. Where is the fifth and last of the FPV series been commissioned? 2. Which of the following cities does not have a National Data Centre (NDC)? 3. The definition of relatives under LRS has now been aligned with definition of relative given in which of the following? 4. Who can access e-books from NDLI launched by the Union Minister of Human Resource Development, Prakash Javadekar? 5. Who is Miss India 2018? 6. How many member states are there in UNHRC?